Officials in Truro have confirmed that a swimmer suffered a shark bite in the waters off Longnook Beach on Cape Cod in Truro Wednesday afternoon. A 61-year-old man suffered potentially serious puncture wounds to his leg, officials say. The apparent attack happened about 30 feet offshore just before 4:15 p.m. and the victim was flown in a helicopter away from the scene for treatment at Tufts Medical Center in Boston, according to a press release from the Truro Police Department. Photos from the scene appear to show fellow beachgoers working together to help the victim off of the sand. Shark attacks are extremely rare, and only a minuscule number are documented each year. According to the Atlantic White Shark Conservancy, which studies sharks in the region, the last reported shark-related fatality in Massachusetts was in 1936. 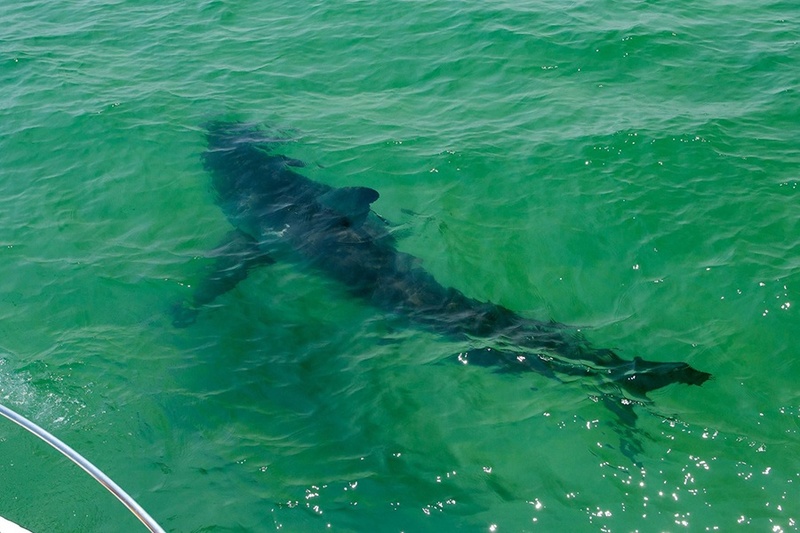 There has been an abundance of sightings of sharks off the Cape this summer, including one jaw-dropping video that showed a great white swimming toward a person standing on a paddle board before swimming away. Some of those cases have resulted in beach closures this season.